This week, actress Betty White celebrated her 90th birthday. It’s quite a milestone. She’s received a lot of attention over the years and not just for her acting. Ms White has a long history of animal advocacy work and many charities have benefited from her support. 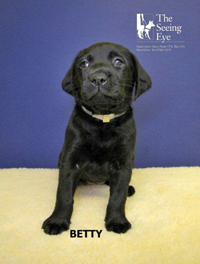 The Seeing Eye, Inc., an organisation founded in 1929, has named a puppy after Betty. Based in Morristown, New Jersey, the Seeing Eye is the oldest existing guide dog school in the world and it has trademarked the term “seeing eye” so that only dogs from its school can be called seeing eye dogs. That’s why guide dog puppies here in New Zealand are called guide dogs whereas folks from the United States often call them seeing eye dogs. Ms White first recorded a radio public service announcement for The Seeing Eye in the 1980s in which she helped remind everyone about the requirement to allow guide dogs access to public transport. You can listen to that announcement here. In 1987, the American Veterinary Medical Association gave Betty its Humane Award for charity work for animals. Ms White has a bronze plaque at the Los Angeles Zoo (near the gorilla exhibit) which also honours her work for animals. In 2010, she was even granted the title of honorary forest ranger by the US Forest Service! Happy birthday Betty! And may Betty the Seeing Eye Dog have a long career! 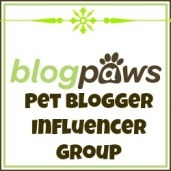 This entry was posted in Dogs, special dogs and awards and tagged American Veterinary Medical Association, Betty, Betty White, blind, guide dog, guide dog puppies, humane award, Los Angeles Zoo, public service announcement, seeing eye dogs, the Seeing Eye. Bookmark the permalink.